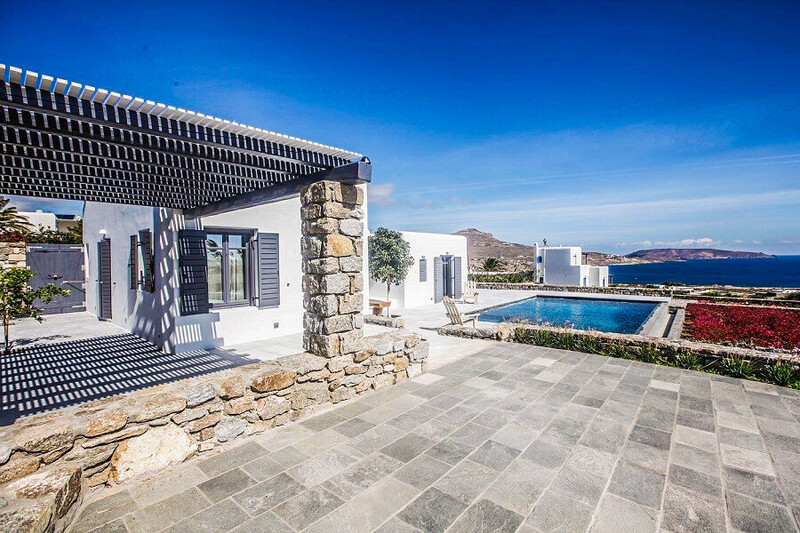 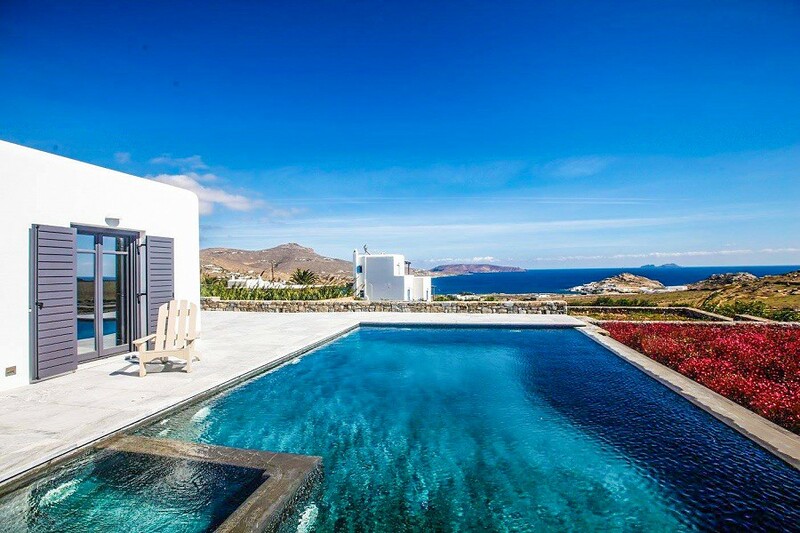 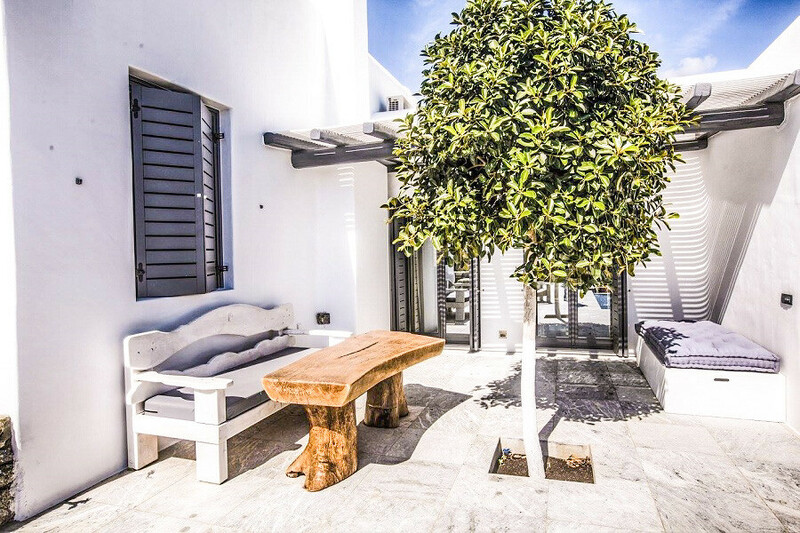 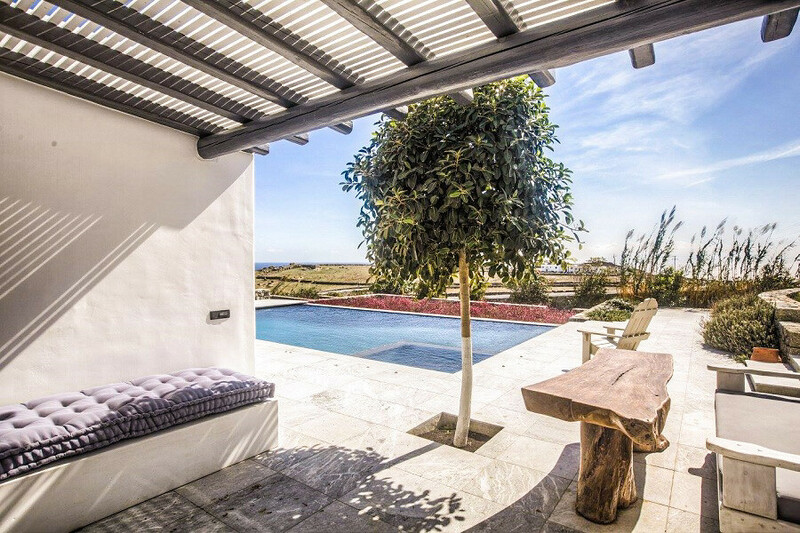 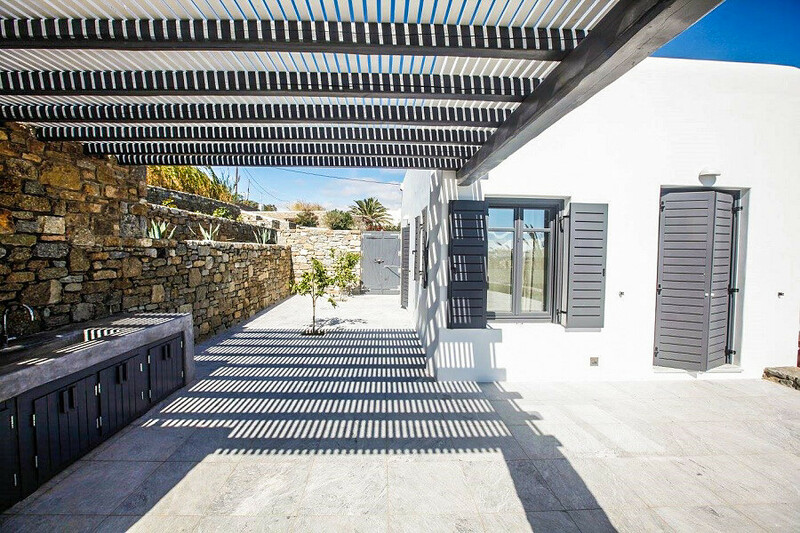 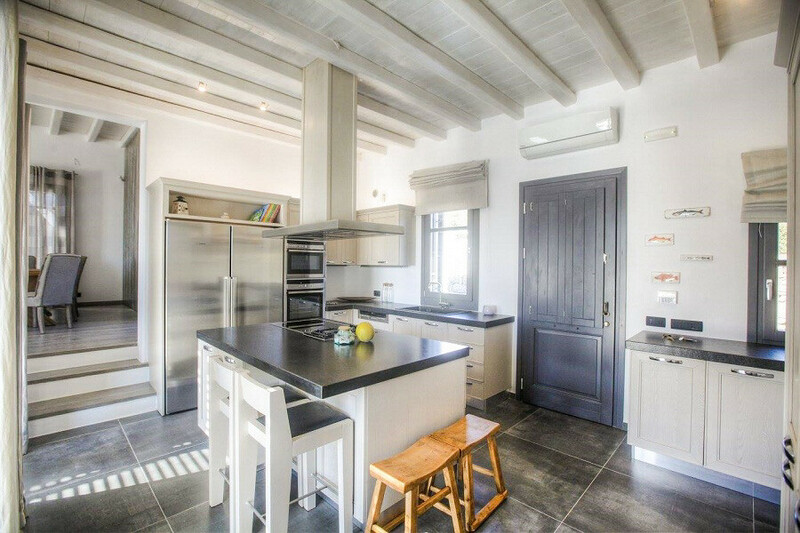 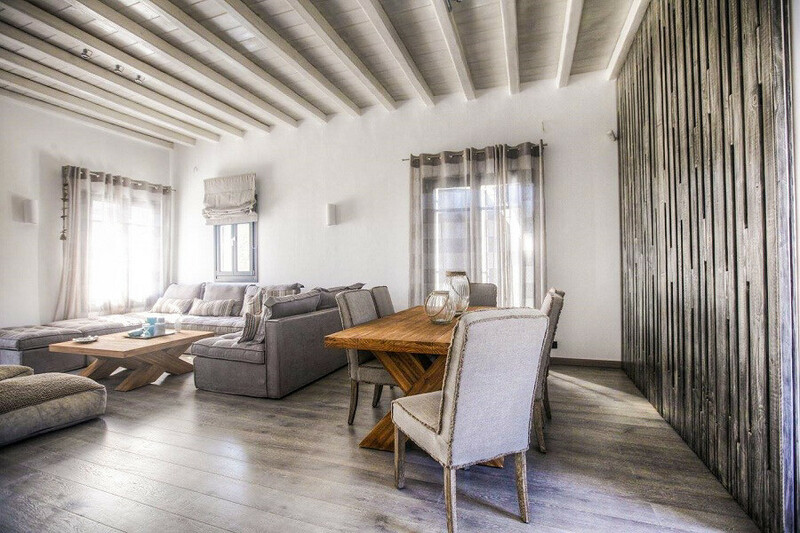 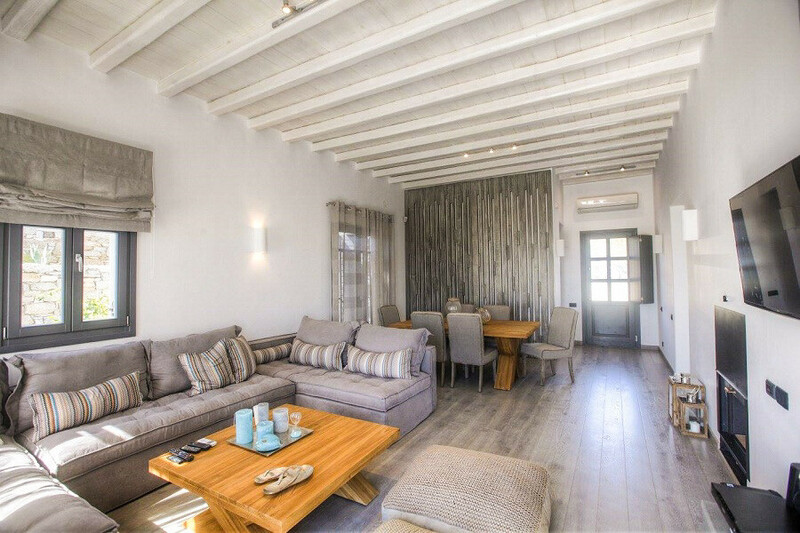 Recently built according to high living standards, Villa Utopia is located near Kalafatis bay, one of the most beautiful and tranquil beaches of Mykonos island, 9 km away from the town center and can accommodate up to 5 guests. 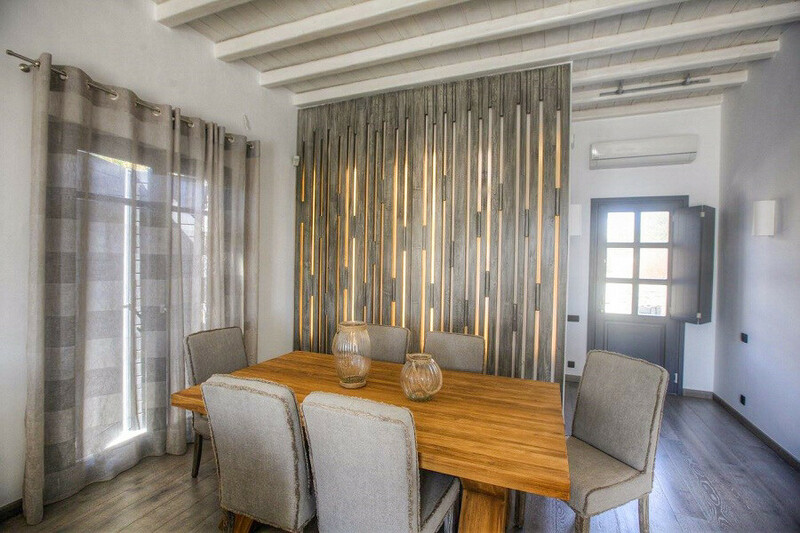 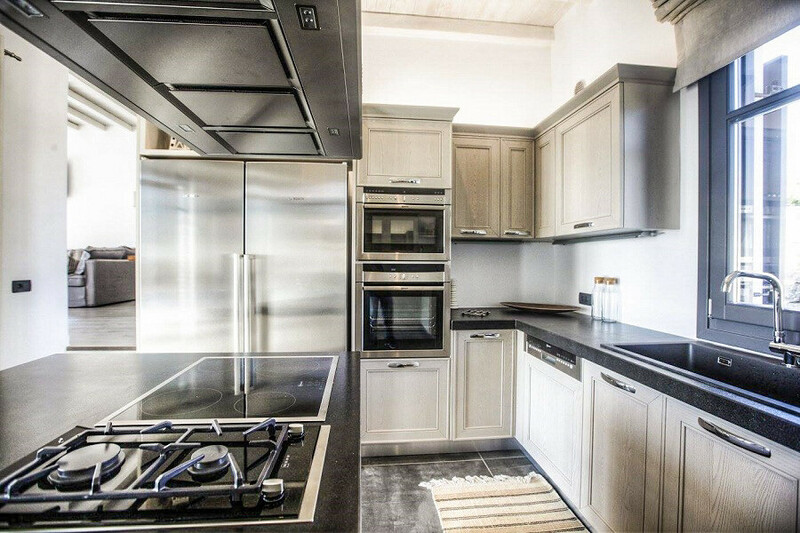 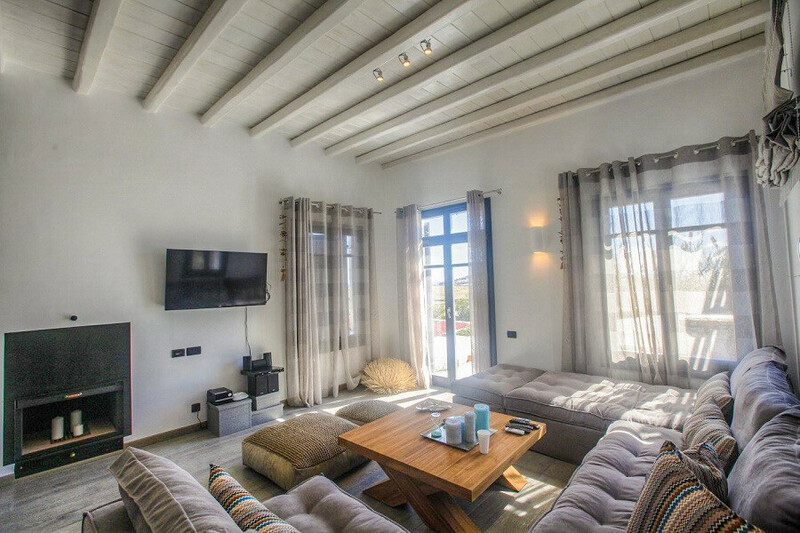 The interior is cozy and consists of a fully equipped kitchen, a dining area, a spacious living room with fireplace, 2 bedrooms with comfortable queen beds, a bathroom and a wc. 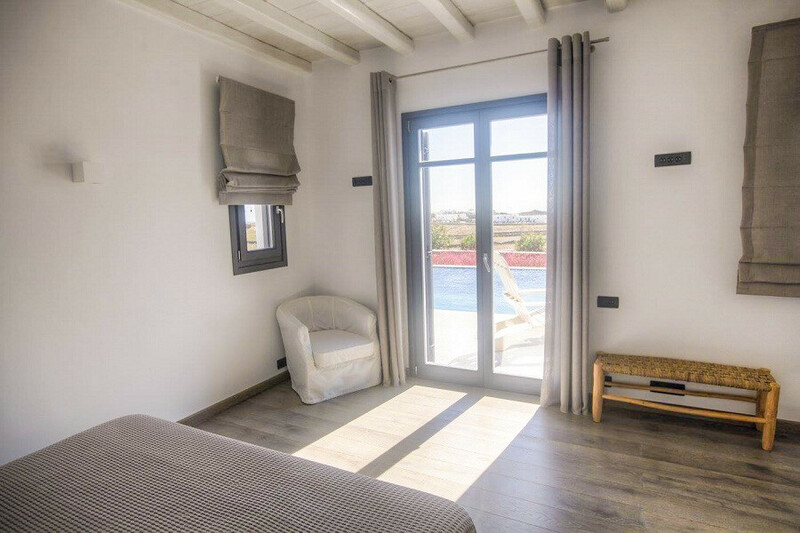 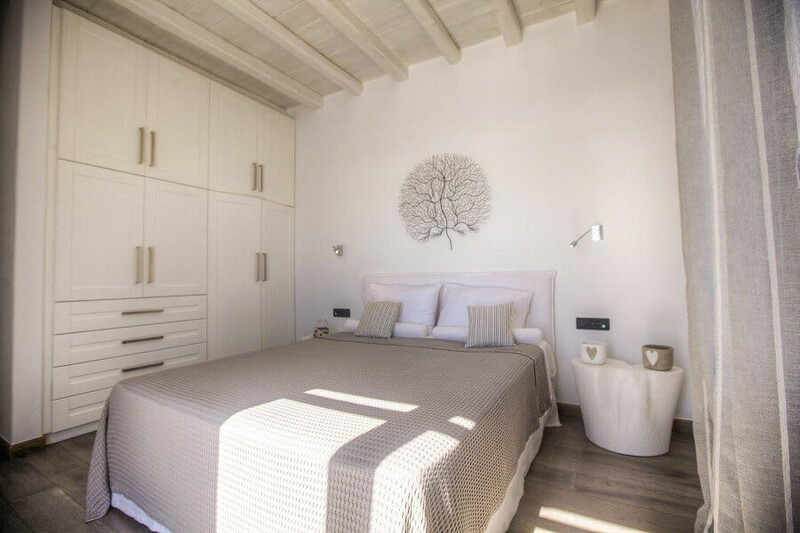 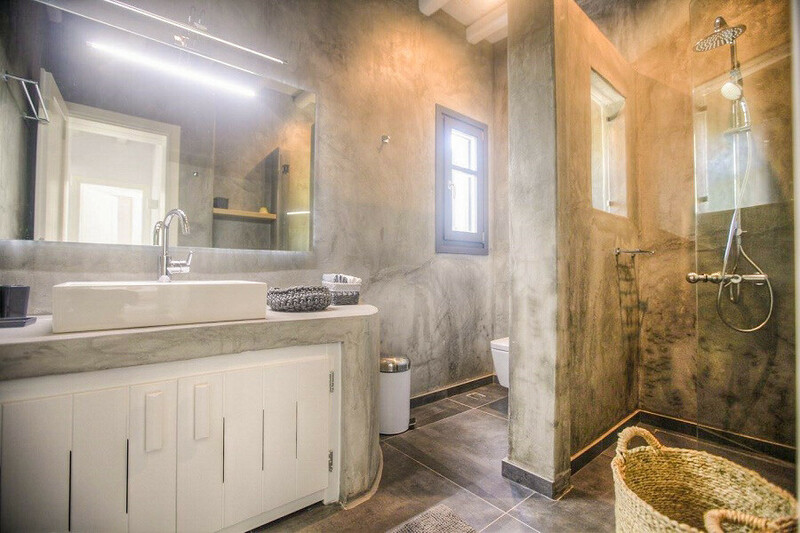 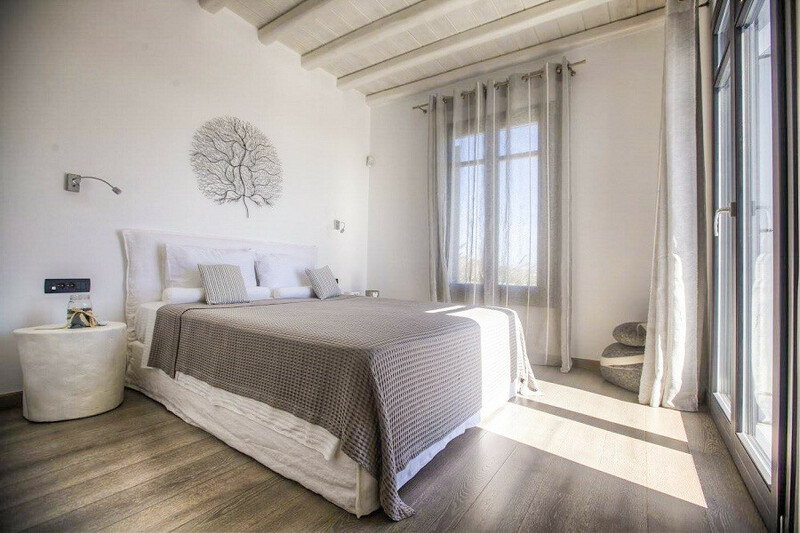 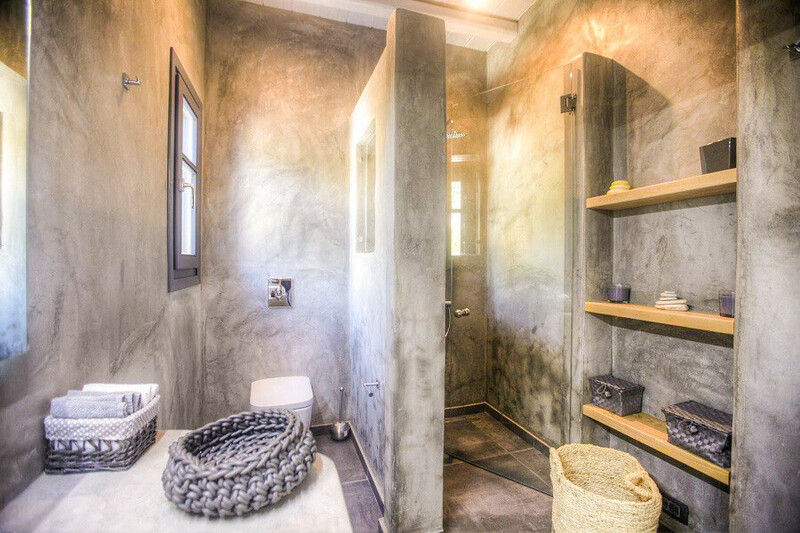 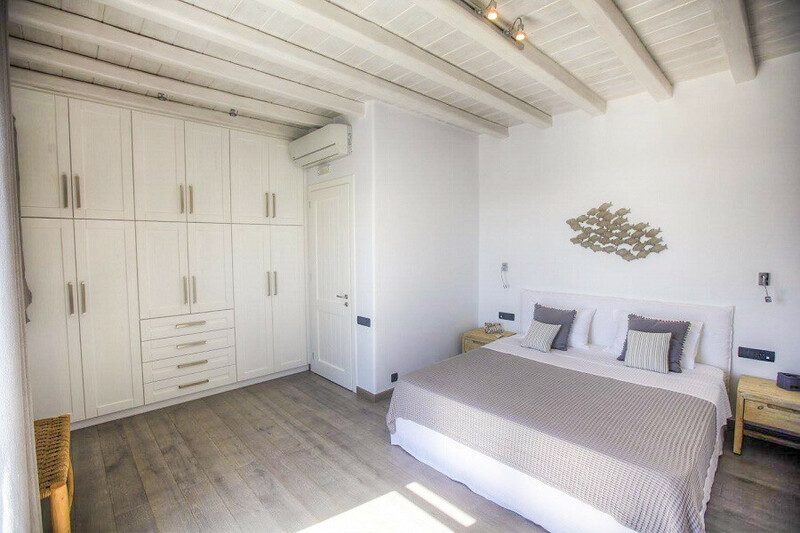 Rooms are comfortably spacious and tastefully furnished in a bright, minimalist style, incorporating white walls and ceilings with traditional features of Cycladic architecture. 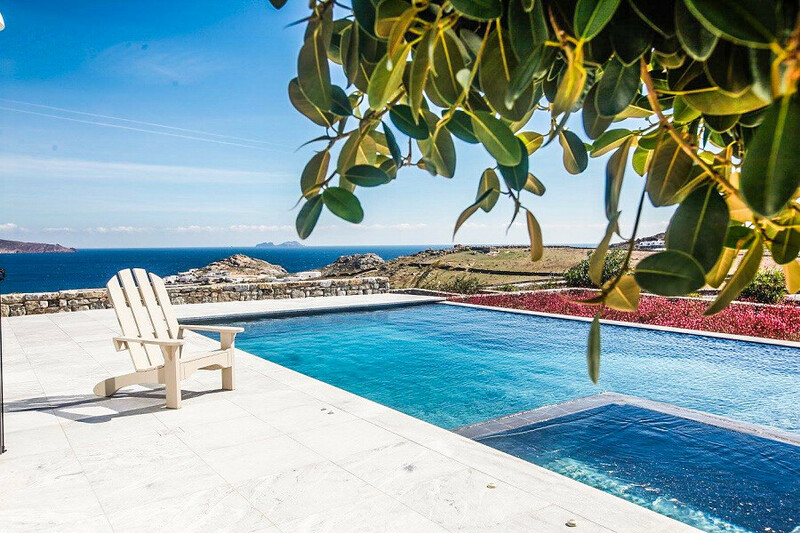 Outdoors, the view is breathtaking and the feeling is so strong that overwhelms with emotions. 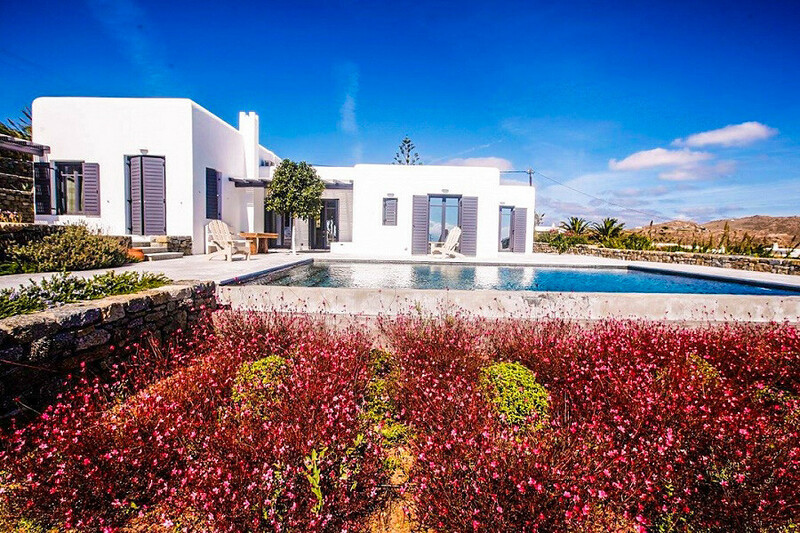 There is an infinity pool of 10x6m with pool jacuzzi and sunbeds, a garden, a barbeque area and a car park.